AUSTRALIA had a three-goal lead before losing a shootout to arch rivals the Netherlands in a thrilling start to the new men's Hockey Pro League in hot conditions in Melbourne on Saturday. 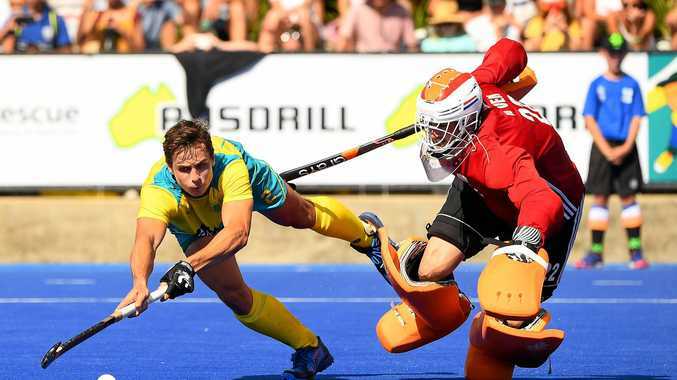 The Kookaburras led 5-2 at three-quarter time but wilted against a superb counterattack by the Dutch, who defied Saturday's 33-degree heat to level at 5-5 and force the shootout, in which they were too clinical and prevailed 4-1. It was a reprise of the teams' December World Cup semi-final in India, where the Dutch also prevailed in a shootout. "Any team who blows a three-goal lead can't be too happy," said the NSW striker, who opened the scoring in just the third minute.